Garage door springs are made of many steel coils which are either one very close to the other or in a bigger distance. The number of coils is determined along with their end parts, cones and winds and all these distinctive features make springs suitable for a specific garage door. The weight of the door is always the most important determinant for the proper selection of springs since the job of springs is to lift the door, keep it open and make sure it closes down well. There are two main types. The extension springs are mounted at the two sides of the door and the torsion spring is mounted over the door. The extension springs extend and retract and the torsion spring produces torque as it is turning at the one end. The main job of springs is to move the door and the main job of all spring specialists at Garage Door Repair Golden Valley is to ensure your springs will continue to do their job right. Since springs have such a hard job, they don't last as long as other parts. Garage door springs usually last for about ten thousand opening/closing cycles and then they must be replaced. You can be sure that thanks to the excellent garage door repair services of our technicians, your springs will hardly give you any trouble all through these years you will keep them. 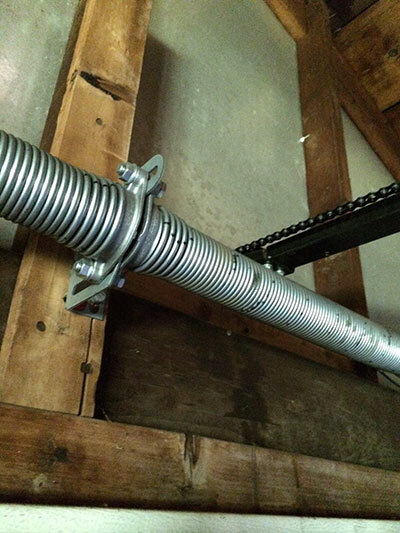 We also make sure your torsion spring garage door system is replaced properly when the time comes and the right size and type of springs will be chosen for a new door. Our spring expert company takes great care of its customers. When overhead door springs are involved, we do our best to reach you as soon as possible. Not only will not a broken garage door spring serve you anything but it might be a threat to your safety if you stand close by when it breaks. 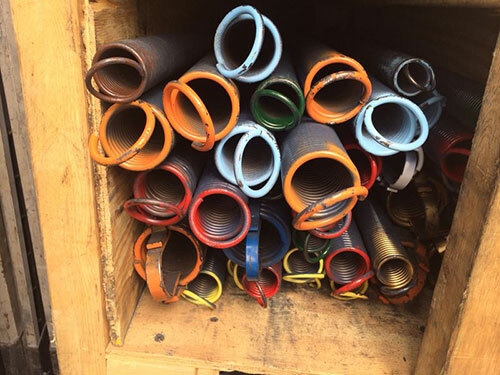 We make sure our customers have immediate assistance when they need good torsion replacement and extension springs repair. Contact us for any problem.